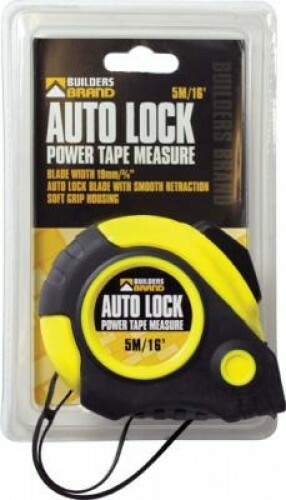 Builders Brand Tri-Brake Tape Measure. Features include self locking blade, brake retraction and magnetic tip for ease of use. Available in 5m or 8m sizes.